This is the vertical version of the popular print Sunset At Squire Ranch. 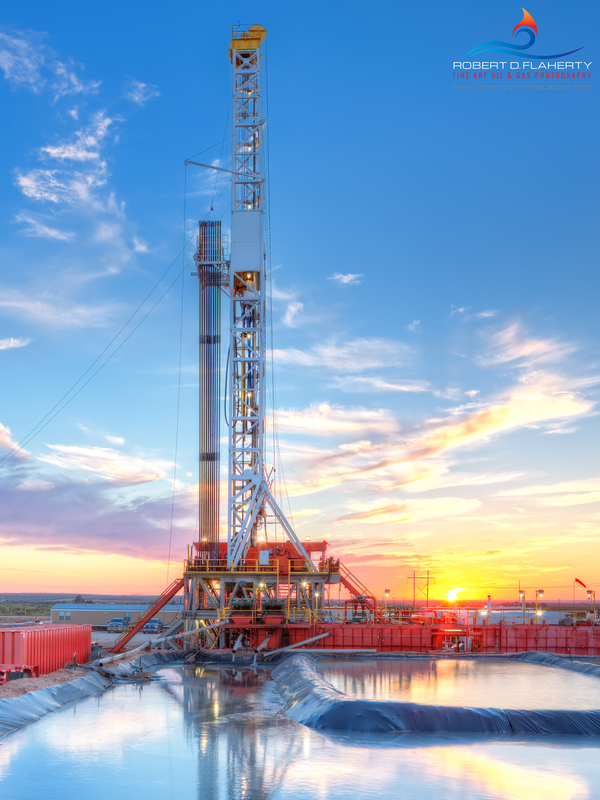 The image features Basic Energy Drilling Rig 45 drilling for Apache Corp. just north of Garden City Texas in September 2012. The print is also on the cover of The American Oil & Gas Reporter for October 2013 along with the associated article on drilling fluids. The print was taken from 20 feet above ground level utilizing a wide angle tilt shift lens to ensure the highest image quality. Oil & Gas Photography By Robert D. Flaherty. Photo © copyright by Robert D. Flaherty.